A recent ruling in Chile stated that banks cannot stop working with cryptocurrency exchanges. About a month ago, Banco del Estado de Chile, which is state-owned and the private Bank Itau informed a cryptocurrency exchange called Buda.com that they are closing its account. An additional eight banks in Chile did the same with their clients who are working as cryptocurrency exchanges. They never provided any explanation for this ruling. However, Buda.com fought back and decided to sue almost a dozen institutions for the abuse of their power and the dominant position they hold. Guillermo Torrealba, the company’s CEO, stated that this was their only way forward. Once the lawsuits began, Torrealba heard during the proceedings that the banks stopped accounts of the exchanges because they were operating in a domain that had a lack of regulation. 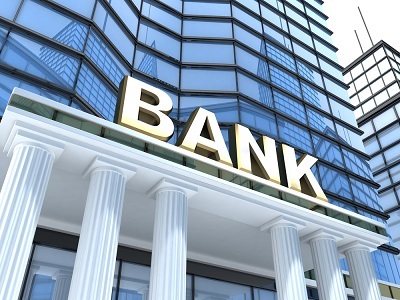 The problem became apparent quickly – banks have neither the power nor the mechanism that would allow them to decide what should or should not enter into their system. After that, the banks began citing fears of money laundering as their concern. But, the process ended when a judge in the Chilean Free Market Court came to a ruling that temporarily, banks have to continue to work with the exchanges. Now, Buda.com accounts in these banks will be opened up and put to the service of their owners. Yet, Torrealba stayed on the offensive, saying that the ruling is essential to the country and not just for the cryptocurrency ventures. According to him, the banks have too much control over all aspects of life there. In other countries of South America, similar legal battles are ranging. In Brazil, several big banks are embroiled in a lawsuit because they also tried to close the accounts of the exchanges. In Europe and the Far East, know-your-customer procedures are underway for some cryptocurrency exchanges. India is also an example of a nation where the government barred state-owned ventures from working with crypto-related companies. In spite of all of this, the victory of Buda.com will echo strongly inside of the crypto community. Also, it will offer hope to many crypto businesses that their case can have its day in the court.